Are you aware that the government is currently constructing 6 innovation hubs? Last year the government allocated $700 000 for the construction of these hubs in 6 universities so as to address the country’s skill deficit. According to the Minister of Higher and Tertiary Education, Science and Technology Development Minister, Professor Amon Murwira these innovation hubs are nearing completion. We currently don’t know how many phases are there to complete the hubs or when they are going to start operating. All we know is that so far two of these hubs are complete, three are 90% completed and one is still below 50% completed. Anyway, setting up of these innovation hubs is truly a good initiative by the government. In a way, one can be forgiven interpreting this as something of a sign that shows ED Mnangagwa’s government knows how critical the government is to spur innovation. Whilst the initiative is something praiseworthy, the government should know that setting up an innovation hub doesn’t guarantee that innovation will automatically follow. It’s a start. These innovation hubs will need to be constantly funded so that students that are housed under it can have the capital to take their inventions out of their campus into the real world. What are these innovation hubs like? It’s still hard to compare these 6 hubs with hubs like Impact Hub or Tech Village as we don’t know what they will be doing. You know sometimes the government misname things. It may say it’s an innovation hub but at the end of the day you will find out that it’s just a workroom. 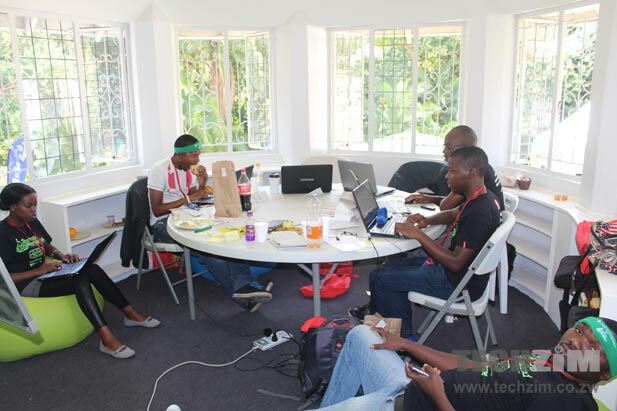 Hie team is Bulawayo Polytechnic now able to have results accessed online? ?